David Rose was diagnosed with myeloma a decade ago and, although he is in temporary remission, has been told it will return at some point in the future. The grandfather now wants to raise awareness of the disease, which is less well known than other blood cancers such as leukaemia and lymphoma. 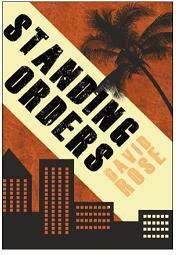 And he has also used the traumatic episode in his life as inspiration for his novel Standing Orders. Father-of-five David, who lives in the Gower, was head teacher of Ysgol Maesydderwen in Ystradgynlais, Powys, when a doctor broke the news that he would never work again. It came after what had been a routine X-ray on his shoulder following pain experienced while playing golf. “It was a television moment – except it was real,” he remembered. David was 54 when he was diagnosed – and was told the devastating news that he was unlikely to live beyond the age of 60. Now 64, the former semi-professional footballer has defied those predictions, suffering only fatigue and some mobility problems and short-term memory loss – but he says his remission is only temporary. And David, originally from Trimdon Village in County Durham, admitted milestones such as the births of his three grandchildren had assumed a new importance since his original diagnosis. This is not David’s first book – although it is certainly a big change from the geography textbooks he has previously written. And the ex-teacher also says he wants to raise awareness of myeloma, a disease with which nearly 5,000 people in the UK are diagnosed each year and for which there is currently no cure. “Everybody has heard of leukaemia, a lot of people have heard of lymphoma, but not that many have heard of myeloma,” he said. He revealed many of his friends had initially confused myeloma with melanoma – and, in a cruel twist of fate, he was also subsequently diagnosed with melanoma, a form of skin cancer, after his wife of 25 years Rose noticed a growth on his leg while they were holidaying in Madeira. David said a stem cell transplant had saved his life but also said he wouldn’t have made it without the support from his family and particularly Rose. “She effectively nursed me for a year,” he added. While in his final year at university, Tom Kettlewells relationship with his girlfriend ends tragically and changes the way he views the world. He develops a cynical outlook on life and although he goes on to become a successful businessman, his personal life remains unfulfilled. During his rise to the top, Tom anonymously uses his wealth to sponsor an African child, in an attempt to reconcile the moral conscience he has seemingly suppressed. Set at a time of immense change for Great Britain and Nigeria, Standing Orders relates a loving friendship between two people from different cultures who dramatically change each others lives. After graduating from Swansea University in 1973, DAVID ROSE went on to have a successful career in teaching, during which time he wrote six school textbooks and became a comprehensive school headteacher. 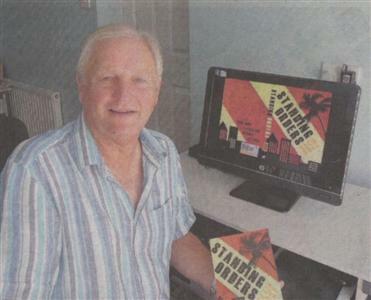 David is currently retired and resides on the Gower Peninsula, near Swansea.